The new Premier League football season is now upon us. While fans up-and-down the country will be following the fortunes of their chosen teams on-the-field, away from the pitch there are a few tricks which jobseekers can learn from their favourite players, which can be used to impress potential employers in interview. Zlatan Ibrahimović– The legendary Swede was one of two box office summer signings for Manchester United and became an instant hit with fans after scoring the winner in last weekend’s Community Shield final against Leicester City. His burly frame, quick feet and silky skills make him a defender’s worst nightmare, but it’s his confidence, charisma and, crucially, his way with words that would make him a hit with potential employers. Paul Pogba – Ibrahimović’s new United team mate also made headlines this week for altogether different reasons after becoming the world’s most expensive footballer. United fans will be hoping he can live up to his eye-popping £89m price tag by pulling the strings to make United a title-winning team once again – and it’s his ability to orchestrate things from midfield would be his most prized asset to potential employers, who love a good team player. Jamie Vardy – Last season’s Premier League Player of the Year became an unlikely hero at champions Leicester City after firing the goals which saw them scoop the title against all odds – and earn himself an England call-up in the process. Vardy’s personal journey is something of a rags-to-riches tale. He started his career in non-league football and climbed through the leagues before earning his move to the Foxes in 2012. The rest, as they say, is history, but it was Vardy’s hard work and determination which got him to the pinnacle of the English game… and these are two traits which many employers place great value on. Vincent Kompany – With two league titles, two League Cups and an FA Cup under his belt, the inspirational Belgian has become a mainstay in the heart of the Manchester City defence – and a firm favourite with fans and neutrals alike. His bravery, leadership and cool-headedness while under pressure shone through as he led his teammates to their recent successes and these are all things which potential employers are looking for. Petr Cech – After helping Chelsea to scoop title after title during the most successful period of their history, goalkeeper Petr Cech moved to London rivals Arsenal for a £10m fee in 2015. While not quite reaching the dizzy heights he did at Chelsea, Cech is viewed by most football fans as solid, steady and dependable. These are all traits you should look to emulate, as while some employers do like to take a gamble, many also appreciate a safe pair of hands. While we’re on the subject of football, don’t forget that we are hosting a Premier League Fantasy Football challenge this season. Our panel of expert pundits here at QS Recruitment are so confident that their team will not be beaten that we will give a bottle of Champagne to every team that is placed higher in the 2016/17 QS Fantasy League than our team, on Christmas Day. 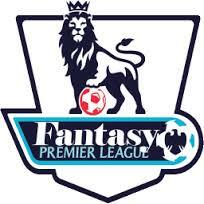 In addition, there will be end of season prizes of £200 for the first place, £100 for second and £50 for third. The challenge is open to all of our clients, staff, workers and partner organisations. If you think you’ve got what it takes to take on and see off our team, simply log on to https://fantasy.premierleague.com and follow the instructions to register. You will have a budget of £100m to pick a squad of 15 players from the Premier League. Once you have picked your team, join the “QS Recruitment League” by entering the following pin 486199-144843, then channel your inner Mourinho and pit your skills against the other teams in the league.